The Warren is a lush forest filled with thousands of diverse species of wildlife. It is home to some of the rarest creatures in the planet, some are gentle while the others are extremely dangerous. Kelser has acted as the protector of this preserve for a thousand years, but he's been a Guardian of the Planet for more than that. Without the treat of the Old Gods, Kelser hasn't had much to do except look after the animals here in the Warren. But now that a dark power has risen and the Seals binding the Old Gods to their prison are in danger of being broken, Kelser needs Eishi more than ever to help prevent the Old Gods from escaping. During the past few months, Kelser has been training Eishi on how to use his power properly. The boy showed great promise in terms of his determination and his will to succeed, but lacked the tenacity and the toughness to do some of the necessary things. In short, he was till too soft and too young. Although Eishi has a genuine good heart, it doesn't mean he won't fall prey to the temptations the Old Gods might offer him. Even the purest of hearts can be corrupted. Eishi needed to be more than just a good hearted kid, he needed to be brave enough to resist the temptations and not fall into the corruption. On a physical aspect, Eishi had grown into a capable young warrior. Sure he was physically stronger than most people because of the gift he received from the Mystic Witch, but if he didn't know how to use his strength, it wouldn't really matter in a fight. The boy was naturally agile, all he needed was a teacher to help him grow and to learn from. Apart from his agility, the boy was very resilient and is a lot tougher than he looks. His entire combat style was based on defense and counter attack. That's good and all but there are time when one must attack in order to defend, a lesson Kelser has been trying to teach Eishi these past few months. But the boy simply doesn't want to hurt anyone or anything. This attitude has given Kelser a lot of headaches and is the main problem why Eishi hasn't really progressed much in his training. Meanwhile, Shu the blacksmith, has taken Eishi's Fabula Nova Dagger and had been developing it for the last few months. The aim is to forge a Sandata (the Guardians Weapons) for Eishi. Shu is the only one is Wrozan who can forge these kinds of weapons. His forge is located all the way up in Forgestone Mountains, a good distance from where Eishi and Kelser are currently living. Currently, Kelser and Eishi are training using wooden swords. As usual, Eishi was using his shield more often than his sword. Eishi keeps using the skill, "AURA GUARD" a skill that Guardians use to block incoming attacks. Kelser just couldn't hold back his frustrations anymore. He empowered his wooden sword and broke Eishi's wooden shield. The force from the blow was so strong that it sent Eishi flying into a tree. "We're done for today." Kelser said with a frustrated tone. If Eishi can't attack, he pretty much useless in battle. It doesn't matter how strong his defense is, a punching bag can only take so much before it starts leaking sand. No matter how hard Kelser pushed Eishi, the boy just won't attack. He sat down on the bench and relaxed for a moment. It was then that he came up with an idea. If Eishi won't attack out of ferocity, then maybe he'll do it out of his desire to protect. Not five minutes had passed when he prompt Eishi to go out into the field with him. "Come on boy follow me, we're going on a field trip." Kelser said as he tossed the boy his Tower Shield. Everyday for the last few months I have had a wooden sword and shield in my arms. The calluses in my palm and fingers have grown quite sturdy and as did my grip. Everyday I ran hundreds of miles around the this ancient forest. Each day I see a new species of animal. Everyday I carried fresh water down from the mountains just to quench my thirst. Everyday mister Kelser pushed me, even after the point where my heart felt like it was going to explode. Each time I held those training weapons I felt like I will not make it the next day. Everyday I have been training with mister Kelser for a battle I, nor anyone, could ever be ready for. Sometimes I wonder what my life would be like if I had been born here instead of Earth. I would be wielding swords instead of sitting in a classroom. There is magic in this world too, healing magic in particular. Maybe if I had discovered this place sooner then maybe my mom would be... I cannot help but feel sad whenever I think of how and what I could have done for my mom. I know that she will always be looking down on me from heaven and knowing that she is free from pain gives me strength. However I still regret not being able to do more. I suddenly had an idea. What if I could find a way to bring her back? Maybe there is something in this world, a world with magic, that could help me get my wish. The thought of saving my mother got me overly excited and I lost focus during our training session. Mister Kelser capitalized on my errors and just blew me away with one fierce blow. "Ahhh!" I screamed. I slammed back first into a large tree, the same old tree I get slammed onto almost everyday. I have hit this tree with my body so many times that one side of it was starting to flatten out. Mister Kelser looked mad and I know it is because of me. It is such a heavy feeling knowing that someone is disappointed or mad at you. I try my very best everyday to meet his expectations but I always fall short. Maybe I just was not made for this. Maybe Fate made a mistake and chose the wrong person. I sat there sulking while I stared into my trembling hands. Then Mister Kelser threw my shield at me. I was not paying attention so the darn thing landed on my head. "Ouch!" "We're going on a field trip" He said and I thought "What field trip? We're already in the fields." I did not dare say those words aloud, sarcasm would only get me punished even more. I was curious about this excursion, it was not everyday that mister Kelser took me out for field trips. As I trailed him, I thought about asking him if he knew of a way to bring someone back. Mister Kelser is like an elf so he is very old and knows a lot of things. I really wanted to ask him but I could not right away. He might shush me again for being too talkative. But still I had to know, I had to try for my mom. I took a deep breath, cleared my throat, and mustered some courage and said: "Uhm.. Mister Kelser sir... You know about magic right? Do you perhaps know of a way to bring someone back? Like from heaven?" On their way to their destination Eishi asked a very interesting question. The type of question that could potentially be used against him by the Old Gods. Kelser stopped walking for a moment to answer Eishi's question. He turned around and placed his hands over the boy's shoulders and said, "Heaven huh? I don't know where that is but it sounds to me like you want to bring someone back from the dead. Well there is a way but its not what you're expecting. You see when people died our souls go and join the Life Stream. You've the seen the Life Stream, you have an idea of what it is. No body truly understands what it is, but its that warm feeling inside you. You can't pull souls out of the Life Stream, so when you bring dead people back, all you're really doing is reanimating their body. They're thoughtless monsters, they become what we call Undead. It's dark magic kid. Don't ever try it. You'll only be hurting yourself." Kelser gave the boy two taps on the shoulder and continued walking towards their next destination. He didn't want to have to do this but Eishi wasn't progressing with his current attitude. They arrived at what looked like a ritual place. Magic stone runes a formed circle around a platform. Kelser sat on one of the stone runes and told Eishi to stand in the middle of the circle. "I'm going to send you to go see an old friend of mine. Mind you, it can get a little hot in there so better hold on to that shield." said Kelser before activating the rune stones. Magical energy started gathering in the center of the platform. A bright flash of blue light blinded Eishi. He starts to feel a little dizzy and when he opens his eyes again he will be teleported to another location. Eishi was taken inside a dark cave. 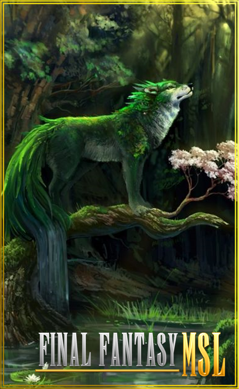 Eishi couldn't see anything but he could hear that something very large breathing and it was right next to him. The creature opened it's flaming eyes and the entire cave was illuminated by a an orange light. 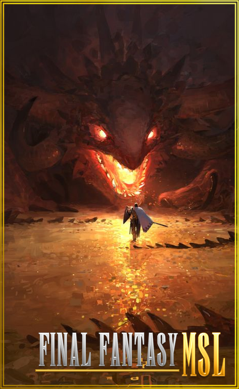 The light revealed that the creature was a huge fire breathing dragon and that ground Eishi was standing on was made up of gold, in fact the entire room was filled with mountains of golden objects. The Dragon spoke an ancient language, but because of Eishi's Gate Pass, which works like a translator, he was able to understand what it said to him. It said, "So you're the new Guardian... Let's see if you have what it takes..." The dragon was charging up like it was about to breathe fire out of it's mouth. I felt a depressing wave leaving my heart. As much as I wanted to argue my point, I knew deep inside that mister Kelser is right. I am sure that my mom is happy in heaven. I was being selfish and only thought of what would make me happy. I never considered that maybe my mom was better off in heaven than down here. Up there she will never get sick or worry. Up there she is safe. Furthermore I did not want to desecrate my mom's memory by turning her into a zombie. I had watched many zombies movies and only one of them had a happy ending, where the zombie turned back into human and lived happily ever after with is girlfriend. That was really absurd, but then again who would have thought that I would become a planetary guardian of a planet that is not even my own. Moving on I followed mister Kelser to what looked like a ritual site. I hope he does not teleport me, every time I get teleported I always end up in a terrible situation. I felt a sharp pain in my chest when I recalled the time that I got hit in the chest by an arrow during on of my Trial sessions. I died a couple of times during those Trials and I never want to go through anything like that ever again. So I stood there and watched mister Kelser do his thing. He wanted me to stand in the middle of the circle. I had trouble finding the right spot at first but I did stumble upon it eventually. Standing in the middle of some magic rocks made me feel really nervous. What was mister Kelser going to do to me? Was he going to Unlock my Potential like the Elder Kai did for Gohan in Dragonball? I do not know. But I hope it does not have anything to do with teleporting. I seriously do not want to die again. "I am going to send you..." When he said those words my heart stopped. My worst fears are starting to come true. I was going to be inside some other guy's body again and die... again. I tried to make mister Kelser wait a moment but he was in a real hurry. Everything suddenly went dark after a bright flash of light. I could not see anything but I could definitely hear something breathing. "Omg! Omg! Omg! Please don't be a giant monster! Please don't be a giant monster!" I was so afraid my hands and legs were shaking. When the lights came on I jumped in shock. My heart felt like it was about to pop out of my chest. I screamed like a little boy, which I am, and I hid behind my shield. "It was a Dragon!" My head screamed. How in the world did this dragon become a friend of mister Kelser? Why is he doing this to me? I was so scared that I could not come out from behind my shield to. I was standing directly in front of its enormous mouth full of incredibly large and pointy teeth. I thought this was it for sure. This dragon was going to eat me and there was nothing I could do about it. I closed my eyes and prayed to God. "God please help me!" Then the dragon spoke. I knew who or what I was. Looks like mister Kelser already told his friend about me. Maybe this was some sort of test, if so then I am definitely going to fail this one. It wanted to know if I had what it takes to be a guardian. So I asked myself, what does it take to be a Guardian? As I looked up at the enormous dragon standing in front of me, I realized that it was preparing to breath fire down on me. I will die if I do not get away quick so I ran while hiding behind my shield. I ran over the mountains of golden objects that seem to fill the entire room. I never really had a chance to admire or even, realize that I was in a place filled with gold because I was too busy running to save my life. Suddenly the Dragon exhaled hot air out of its nose and then started laughing. It was laughing at Eishi because of the way he was running around the place. There was no where for Eishi to go, the entire cave is sealed from the outside. "Hahahaha! Where do you think you're going little human? There are no exits here, no places for your to hide." The Dragon moved around a bit and it shifted the entire floor made from tiny pieces of golden objects, like coins, pendants, etc... It's massive tail rose up from the gold and blocked Eishi's path. "Come now! Stop running you have nothing to fear. If I wanted to eat you, you'd be in my stomach digesting by now. You're a friend of Kelser then that makes you my friend as well. My name is Dorgyr, the Breaker of Ice"
Dorgyr slithers closer towards the cornered boy and looks through his soul using his flaming eyes and says, "I can see that your heart is pure, but even the purest of hearts can be corrupted. You've no desire for power or riches. No deep hate or darkness. But you desire happiness, a chance to redeem what was lost. Your mother... The Old Ones are wise, they will see through your heart as did I, and they will use your desires to corrupt your heart and your soul. If all you can do is hide in a shell, how will you fight the corruption when it takes over you? You must learn to fight back!" Dorgyr's eyes flashes and it changes color from orange to purple. He maneuvers his body around and hands Eishi a sealed black box. The box is made up of Lunarium Ores, the same material used to imprison the Old Gods. Dorgyr opens the box and reveals that it contains a Nel, an artifact originally used to monitor the Old Gods from a distance but is now twisted and used by the Old Gods to spread their corruption outside of their cells. As soon as Dorgyr reveals the Nel, Eishi starts hearing multiple voices in his head. These voices are the Whispers of the Old Gods, Eishi is protected from it's passive effects because of the Mystic Mage's gift, but it's resisting the temptation that is the true test. If corrupted, Dorgyr is prepared to end Eishi's life. "You must learn to fight it boy! Don't give in to the temptation!" Dorgyr's voice began to fade from Eishi's hearing, it was gradually being overpowered by the voices coming from the Nel. "Listen. I can give you what you want!" "I know what you want!" "I can give you anything!" "I can bring back anyone!" "I can bring back your mother..."
Eishi was shown a vision... He was grown, somewhere in his teens, and he was in a bright place and in front of him was a heavenly device that is connected to the Life Stream. In the vision, Eishi operated the device and he was able to materialize her mother out from the Life Stream, proving that there was a way to free a soul from the Life Stream. But he didn't stop there, Eishi continued to use the machine to pull out a dark being. The being smiled at Eishi and gave him and his mother a way back to Earth. The vision ends with the Dark Being consuming Lunaris and then moving to Earth. Eishi and his family was spared from the destruction of Earth and was given an opportunity to serve the Old Gods and life forever. "The journey will take time but you will get what you want. Kill the Dragon, he has a weakness. There is a spear stuck in his heart. Pull it out and the Dragon will die. Do this... and I shall tell you how to find the device to bring back your mother..."
Pretend to be unaffected and silently Kill Dorgyr by pulling out the spear that is stuck in his chest. Receive 20,000 XP, gain a NEL, and get teleported back out to Kelser. Resist the voice. Earn nothing. I have not been this afraid in a while, cold sweat was pouring out of my face like a cold glass of water melting in the summer sun. As I ran to get away from the fearsome dragon, I realized that the floor was made of immeasurable amounts of gold coins. I have never seen this much gold in my life, there must be trillions worth of gold in this room. My mind was not completely focused and I got caught off guard by the dragon. It cut me off from my escape and then laughed. I was so afraid I could not really turn around to face him, yet somehow I did. He explained that he was not going to eat me or hurt or anything. He even introduced himself and that was when I realized that I was with a friend not an enemy. Only then was I able to breathe comfortably and relax my shoulders. Mister Kelser sure did have some strange friends. The Dragon wanted to test me in some way. Based on experience I knew that none of these tests would be easy and could potentially mean death. From the sound of it, I think he wants to test my ability to withstand the Old God's Whispers? I was not sure what he meant by it and I had like a ton of questions. But I was never really able to say anything. I felt like I was being rushed. Dorgyr presented a strange magical box. Even from afar I could feel a powerful force coming from inside the box. It felt really.... magnetic, like I was being sucked into it. When the Dragon opened the box I saw a blinding light that forced me to close my eyes. When I opened I was back home but I felt taller. I looked down at my hands and they seem bigger. Maybe I was inside somebody else's body again, I thought. So I went over to the mirror and looked. The face I saw looked familiar and yet so new. It took me a while to realize that I was looking at myself, I had grown into a teenager. Then I heard a voice coming from my mom's room. I turned and thought "Who could it be?" I moved closer towards the door and I begin to recognize the voice, but that was impossible. My mother she's.... I gently placed my hand on the door knob and turned it clockwise. Slowly I pushed the door open and there I saw her, laughing while watching TV. I cannot remember when I last saw my mother this happy and so alive. For years she had struggled with her sickness, most days she was just lying on her bed. She notices me and her laughter gently turns into a smile. She says to me, "Eishi how as school? I hear you've been hanging around the old church again. Did you eat yet? I cooked rice cakes they're at the dinner table." "I... uh..." Even my voice sounded different. I was speechless it just felt so real. I know in the back of my head that none of this could be real, but still I was there and I felt like it was. "Actually I am starving. I'm going to go cook something stay right there mom!" My heart bounced with joy. Suddenly I did not care if it was real or not. I just wanted to make something for my mother. I went over to the kitchen, opened the fridge and took out so seasoned pork cubes. I remember cooking for my mother when she was sick. I could not really feed her anything too salty or too sweet, and every day she would endure eating this thing that was like a paste and it did not taste well. I was trapped in this world that I knew was not real, yet I felt compelled to care for my mother and enjoy our time together. I missed her a lot and it did not matter if it was in a illusion or real life. I was going to cook for my mother and nothing was going to change that. I was oblivious to the fact that I was being manipulated already by the Old Gods. I was only when I asked the "How?" did they pull me out of the illusion. I was taken to a bright and glorious place. In front of me was some sort of contraption. I reached out for it and I noticed that my hands were covered in golden liquid, like blood but it was gold. Also I noticed that I was dressing differently. I was wearing armor and I had a sword in my hilt and a device in my other hand. The shape of the device matched the hole on the contraption in front of me. I did not know what I was doing there but I felt like I had to do this, I had to activate the device. What happened next was, I was able to pull my mother out of the Lifestream and she was not a zombie unlike was mister Kelser said. I left the machine open and another entity came out of the Lifesteam. It was a man, at least I think it was a man, he had an evil aura surrounding him. I could not hear what he was saying, but he was pointing at my mother, the device, Dorgyr's eyes and the spear stuck in Dorgyr's chest. The way he was pointing suggested that he wanted me to kill the Dragon to save my mother. When it was all over I fell on my knees, thinking... Was it all just an illusion was any of it real? Could I really save my mother if I sided with the Old Gods? I wanted to save my mother but if it meant sacrificing the lives of every other living being on this planet and back on Earth, I knew it was not worth it. I am not the only person suffering, I am not the only person who has lost someone valuable to them. My mother would not want me doing such evil things for her sake. "No!!" I took my shield and slammed it as hard as I could at the Nel. Eishi tried to destroy the Nel but his attack merely bounced off it like it was nothing. If it could be done, the Guardians would've destroyed the Nels a long time ago. But these artifacts are nearly unbreakable because they were crafted by the Primals using powers only they could surpass. Dorgyr looked into the boy's eyes and found contentment within himself. Had Eishi gone over to the Dark Side, Dorgyr would've been prepared to end the boy's life on the spot. At least now he knew that Eishi wasn't going to succumb to the Old God's temptations. He resealed the Nel and approached the boy to console him. "What you saw is what will happen if you give the Old Ones what they want. But you mortals were created to follow your own path, to make your own future. Never give up on what it is that drives you, but never give in to the Old Ones for they will tear this world apart and then they will come after yours." "As a Guardian you are also a protector of your world and other worlds from the Old Ones. You weren't chosen because of your kindness, you were chosen because of your desire to protect what the Old Ones seek to devour." Dorgyr started to glow brilliantly and his shrinks into a man sized being. When he completes his transformation, he reveals that he is actually Shu, the Legendary Blacksmith whom Eishi met before he started his training with Kelser. 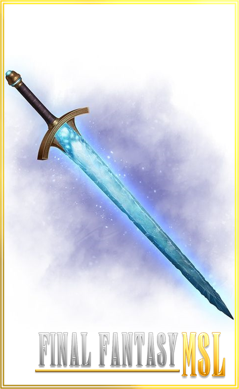 Shu was holding onto a magnificent sword, forged from Eishi's Nova Crystal Dagger. "Every Guardian must possess a weapon to fight the Old Ones. This is your Sandata, and just like your future, you get to choose it's name." 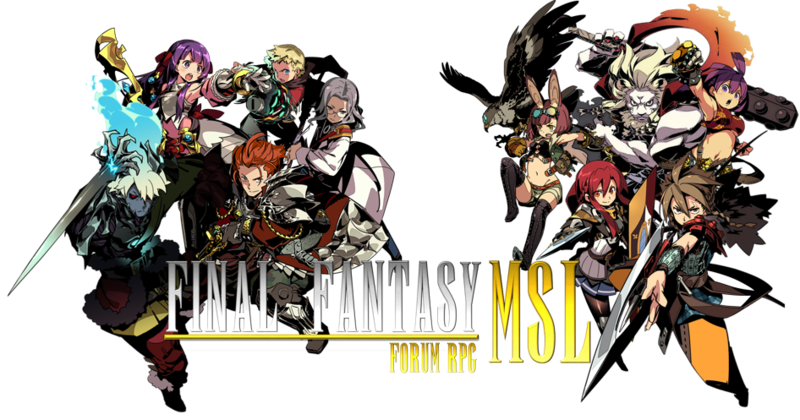 "I melded the Crystal with Lunarium to forge it's blade. I know it's a bit rough but that's what you get with you work with Crystals. You'll find that is has many uses, but I'd leave the discovering part to you. Take care if it, but at the end of the day kid, it's just a sword. What's inside you is what matters most." Shu hands Eishi the sword. >Has qualities of Lunarium weapons. Sandata, the Guardian's weapon. Forged by the Legendary Blacksmith Shu. The blade is a fusion of Lunarium and Fabula Nova Crystal. New Quest started: "Back out into the world"
"Oh and give Kelser my regards!" Soon after Shu handed the Sword over to Eishi, he started to glow and was then teleported back to the outside world where Kelser awaited. "Well that took surprisingly quicker than I expected. Perhaps there's hope for you yet boy. I'd get rid of that lousy shield of yours if I were you. It's too heavy for you anyway. Come! Let's go back home I'm starving." Kelser was happy to see that Eishi came back without being corrupted by the Old Gods. That didn't mean he was completely safe though, some people give in later in their lives as evidence by past events. Kelser led Eishi back to camp to eat and rest. Because the boy had a big day ahead of him tomorrow. I hurled that shield with all the force I had in my body and yet I was not even able to put a dent or crack in the artifact. It felt like I had rung my shield against the tip of a mountain, it hurt my hand more than anything. I figured if it could be destroyed then they would have probably done it a long time ago. Maybe I was too naive to try but I felt like I had to. I had to break the item's influence on me somehow. The dragon tells me that what I saw was "The Future" meaning I would eventually be able to reunite with my mother, but at the cost of the lives of everyone here and everyone back on Earth. I was not able to see past my own desires until Drogyr helped me to overcome my selfishness. He also told me that I had the ability to make my own future, not the one the Old Gods showed me. I want to be with my mom, sure. But I will not sacrifice the lives of innocent people just for my own selfish needs. My mother raised me better than that, I know that now. The power that I received is not just for the people here but it is for everyone back at home as well. I want to protect everyone. I know that is what my mom would want me to do. I will not let the Old Gods consume this world or my world. I will use every once of y power to stop them. I was surprised when Drogyr transformed into Mister Shu, the old man who is friends with mister Kelser. I also felt relieved because mister Shu's dragon form really frightened me. He came up to me and presented me with a glowing sword. My first thoughts were that it was awesome, completely wicked cool. I felt like Zelda from the game. I have never seen anything cooler in my entire life. It was like a dream come true being given something like this. As I held it I was surprised at how well balanced it felt and how well it fit my hands. "This is really cool mister Shu!" What is even better is that I could name it, said mister Shu. I thought of naming it something cool like Excalibur or Lightsaber. But then I thought I should probably name it something that is connected to me, something like my mother's name. "Etsuko... I name this blade after my mother, Etsuko"
After I named the sword, mister Shu sent me back to the outside world where mister Kelser was waiting for me. Mister Kelser looked relieved and happy to see me. Maybe I was finally able to do something right for once. He advised me to ditch the shield, he was right. I would not be able to wield both the large shield and the sword at the same time. I needed something smaller. "Let's go to a village. I'll trade it in for a smaller one." Eishi's Chapter 6 has ended. 5000 XP awarded.